Juice. 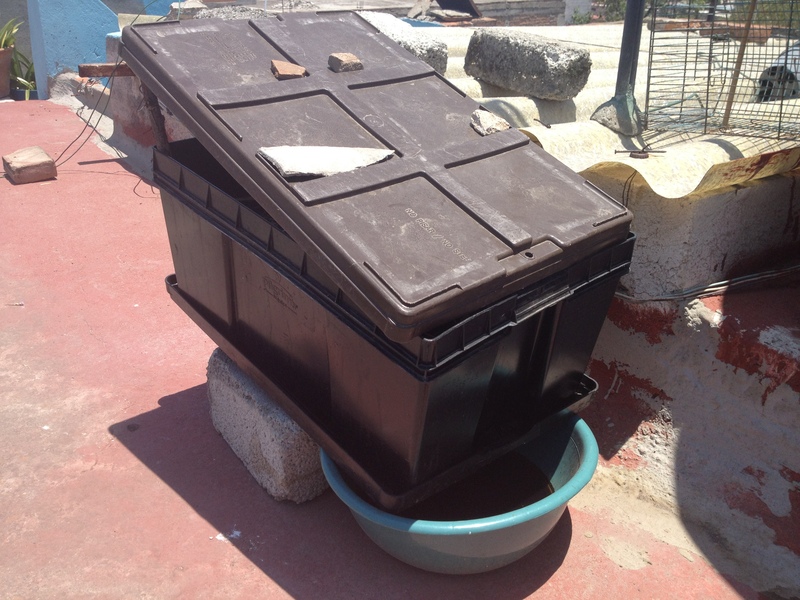 I put the container on a slope, which was easily achieved with some concrete bricks that were around the house. Now the slope is directing all of the valuable worm juice right into the bowl. I can easily add this juice to the watering can, and give my veggies an extra boost of nutrients. Shade. 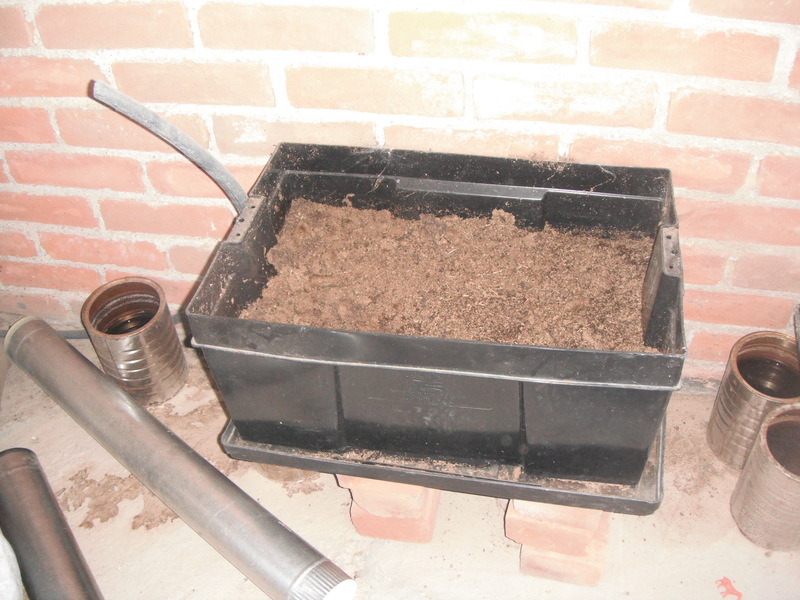 Next, I covered the box in order to water the compost less frequently. Also, I put some leaves on top of the compost to help maintain humidity, just like in nature. Flies. In order to keep away the flies, I add a bit of soil on top of recently added food scraps. 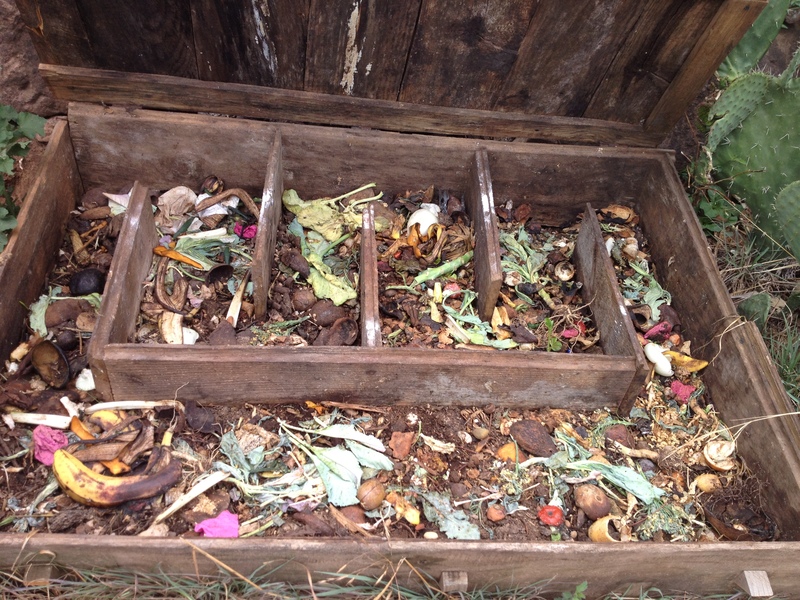 PS: Check out the failures of worm compost that brought me here: Worm Compost: Part I, Part II, Part III. PS: The second photo is from a Rancho Acuario. The new home of Benny, the kitty, and also a home to many great eco-technologies and organic veggies. The idea is to add food in sections so the worms follow the food through the maze. Once they make it to the end, you have your rich humus. For the past two weeks my home worm compost system has been up and running, and I couldn’t be happier with the results from this super simple DIY project. 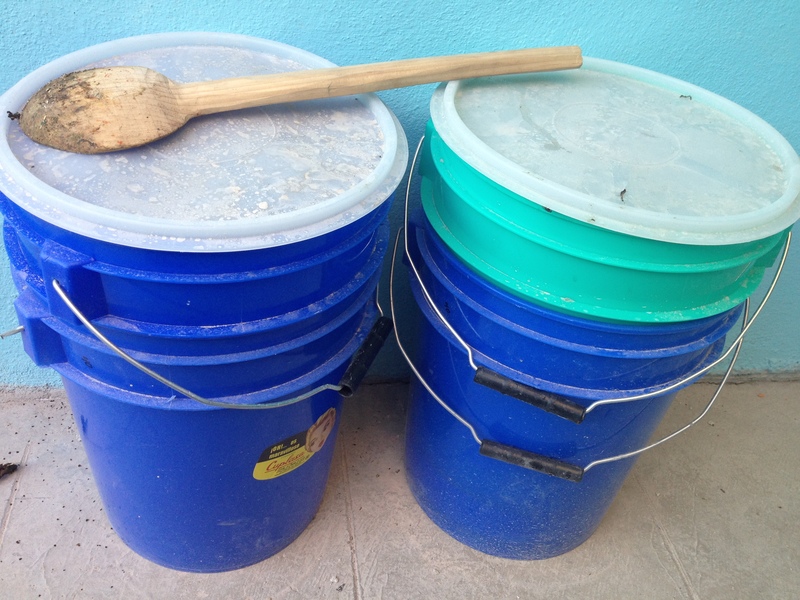 In the post, Worm Compost: Part I, I had all the materials needed for the system, two large paint-bucket type containers, a drill, and worms. 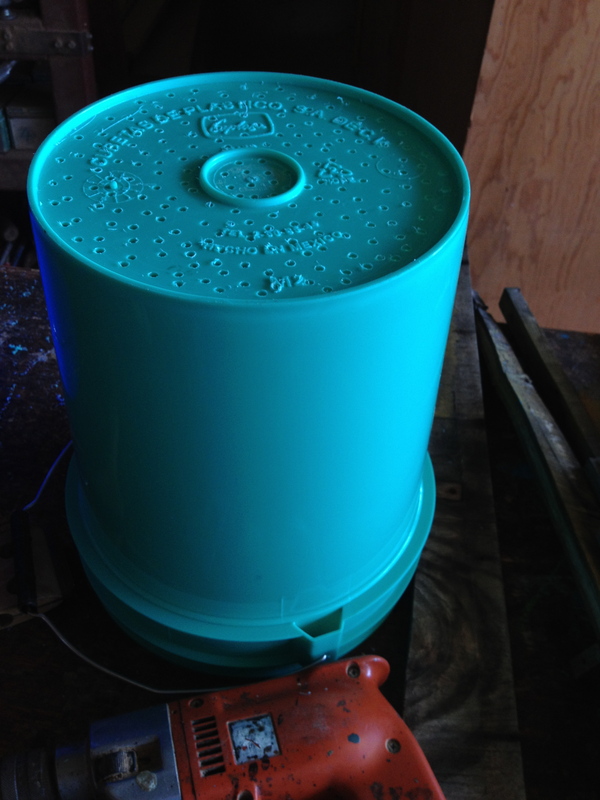 To continue, I stacked the bucket with drilled holes (see picture) into the other bucket. Next, I added my worms with a bit of newspaper and cardboard bedding and some fermented sheep manure. Finally, I topped it off with the bucket covers. Now, while cooking, I add my veggie scraps to feed my happy worms. It’s that simple. DO chop up large pieces of fruits and vegetables for faster breakdown. The worms actually eat the bacteria and fungi in decomposing food, so the older the food and the more exposed to air, the faster the worms will get to it. 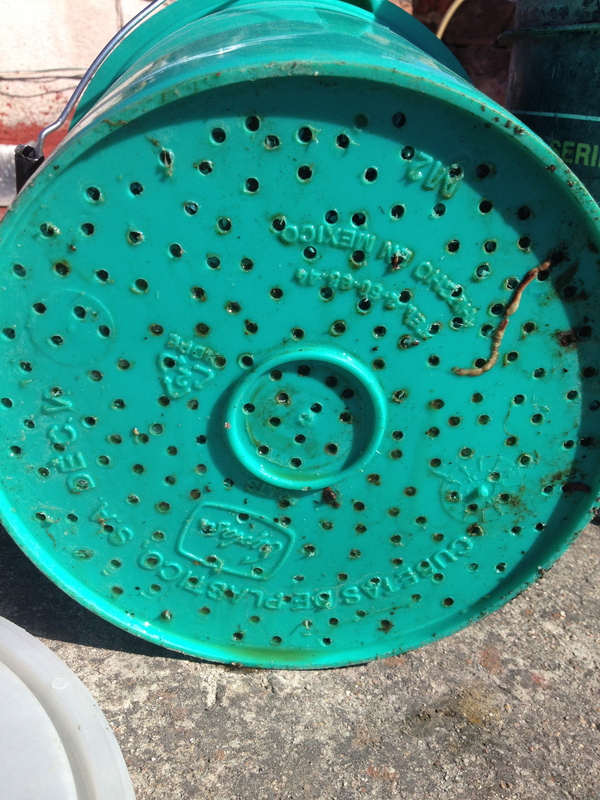 DO harvest the worm juice at the bottom of the bucket for foliar application. This is the reason for those holes in the stacked bucket! The juice is invaluable as a natural pest repellent and fertilizer. Water down the juice with a 15:1 ratio of water:juice. 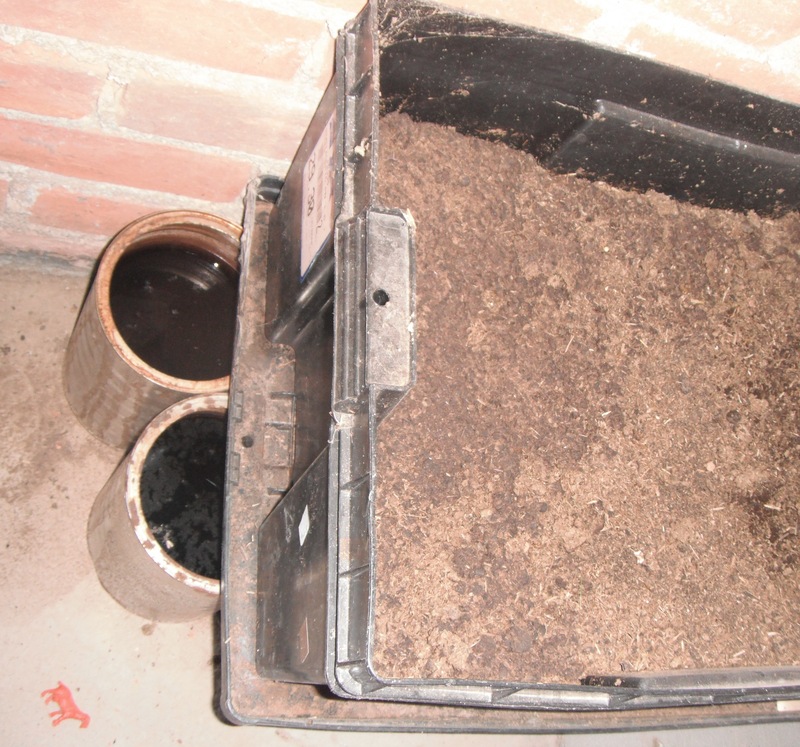 DO aerate the compost every few days using a wooden spoon or a stick to turn the materials. DON’T add kitchen scraps cooked with oil or with high amounts of salt. DON’T add meat, dairy products, or highly acidic products. I don’t even like adding orange or lemon peels. Garlic and onions also don’t typically appeal to the worms, and can stink up the containers. DON’T feed fresh manure to your worms. 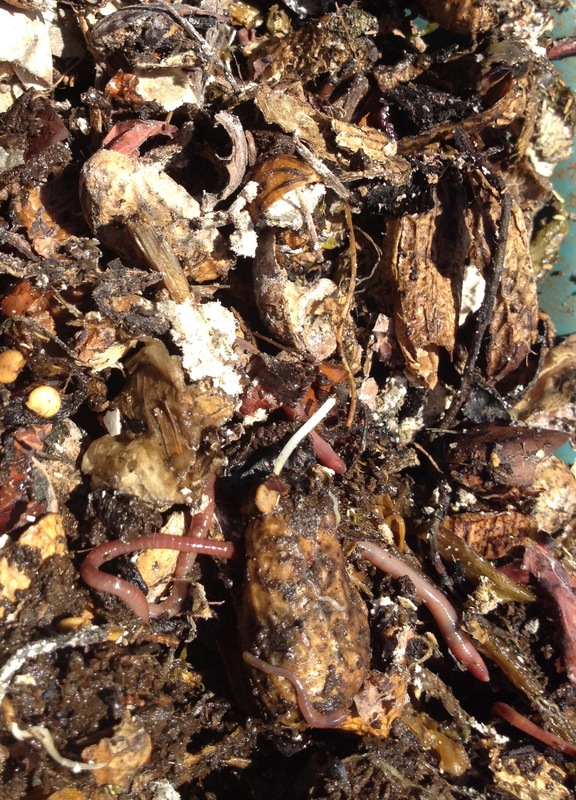 The heat from uncomposted animal manure can burn the worms. Also, only use manure from vegetarian animals – cows, sheep, rabbits, etc. * The land that is passed by worms has 5 times more nitrogen, 7 times more potassium, and double the amount of calcium and magnesium. PS: In order to limit fruit flies in my worm compost, I dry my banana peels in the sun before adding them to the bin. Fruit flies LOVE to lay their eggs in banana peels. If you’re not living in the desert like this girl, you can also give the peels a quick rinse before adding them to the compost. Make your holes smaller than I did. I had some worm escapees.